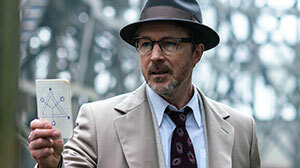 Project Blue Book, a 10-part period drama, is based on the true, top-secret investigations into UFOs and related phenomena by the US Air Force in the 1950s and 1960s. 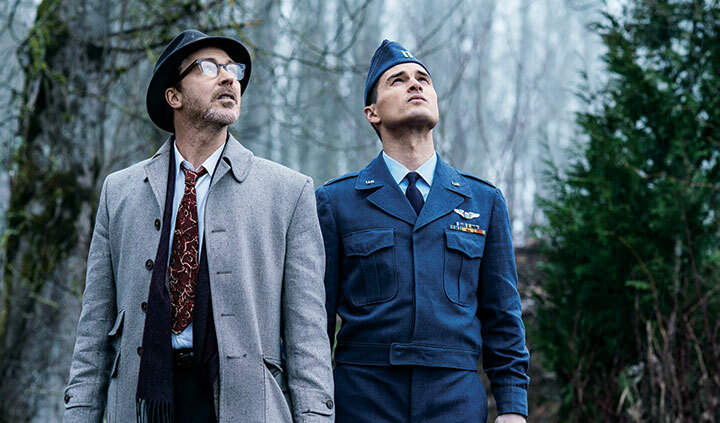 Inspired by the personal experiences of Dr J Allen Hynek, a college professor recruited to lead an operation codenamed Project Blue Book, each episode draws from the actual case files, blending UFO theories with authentic historical events. In this DQTV interview, Aidan Gillen (Dr Allen Hynek), Laura Mennell (Mimi Hynek) and Michael Malarkey (Captain Michael Quinn) reveal how the series charts the emergence of the UFO phenomenon in the US, the hysteria it created and the government’s reaction to it. Gillen talks about the influence of Steven Spielberg’s classic UFO film Close Encounters of the Third Kind and why he relishes playing real people on screen; while Mennell talks about how her character, Dr Hynek’s wife, is isolated in her domestic responsibilities until she goes on her own journey as her husband becomes involved in Project Blue Book. From executive producer Robert Zemeckis (Back to the Future) and writers Sean Jablonski and David O’Leary, Project Blue Book is produced by A+E Studios in association with Compari Entertainment for History. A+E Networks distributes the series internationally. 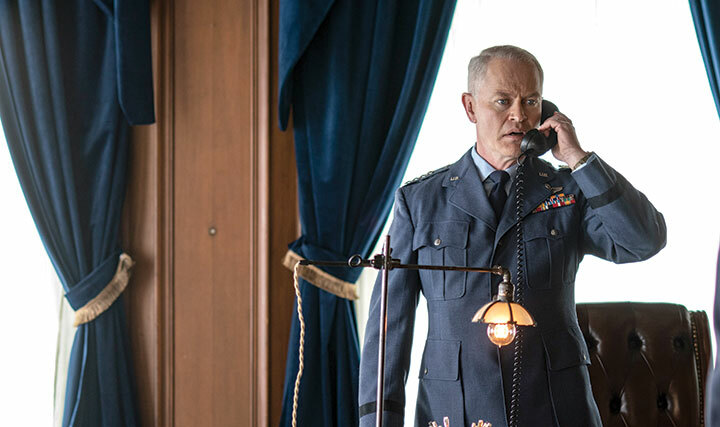 With UFO sightings and ‘fake news’ dominating the US news agenda once more, History’s latest scripted commission Project Blue Book couldn’t be better timed, according to writers David O’Leary and Sean Jablonski. The idea that ‘fake news’ was invented by Donald Trump and Steve Bannon is, well, fake news. From 1952 to 1970, the US Air Force operated Project Blue Book, a secretive investigation into the UFO phenomenon, looking into sightings and also launching an information war to convince people what they’d seen wasn’t actually what they’d seen at all. 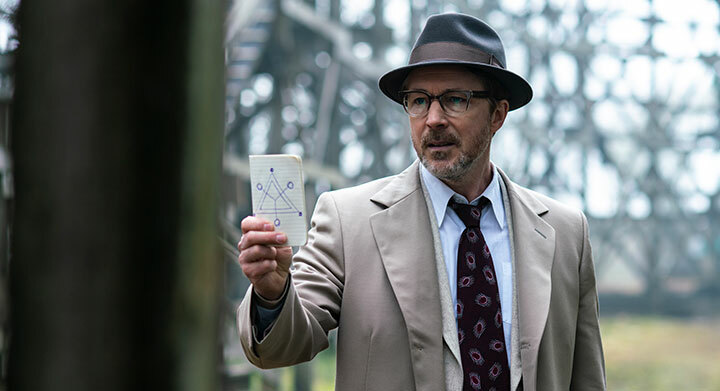 Now, with impeccable timing, Project Blue Book is coming to A+E Networks’ History channel in the US, dramatising some of the 700 unexplained cases out of the 12,000 investigated. For creator, writer and co-executive producer David O’Leary, the project is the culmination of a lifelong fascination with the subject. “I was always reading books on alien abduction and scaring myself as a kid,” O’Leary says. “In my 20s, I started to get interested in America’s strange history with the subject matter. O’Leary’s experience to this point had been as a development executive on movies. But like so many in that industry, he was eyeing the opportunities presented by the golden age of TV drama. He wrote a pilot episode, presented it to his feature agents and soon the project was being shopped around. They got a bite. A big bite. ImageMovers, the independent studio belonging to Back to the Future director Robert Zemeckis was also eyeing TV projects, and the subject matter was a perfect fit. ImageMovers, in turn, took the project to History and producer A+E Studios. Sean Jablonski, an experienced TV writer with credits on the likes of Nip/Tuck and Suits, came on board as co-writer and exec producer, while A+E Networks is the distributor. Jablonski, who led a small writers room of five, shared O’Leary’s love of the subject matter, which made a month of solid research less of a chore as they sifted through the cases and picked out the ones that could drive the narrative. “It’s been a passion of mine for most of my life, so the good thing about the partnership is we spoke the same language and understood the same cases and people,” Jablonski says. “When we would look at Hynek’s books and the cases, it became evident which were right for the first season. We wanted to start with an unreliable witness to something, which could then build over the course of the season into more reliable witnesses, multiple witnesses, credible witnesses. It felt like it had an arc to it. The end product has been described as Mad Men meets The X-Files, but making drama for a primarily factual cablenet like History comes with an added challenge. The network does have dramas (Vikings, Six, Knightfall) but how much dramatic licence do you get? “Making a compelling, dramatic and engaging TV show demands that you find the cracks in the details of the cases so you can embellish them a little bit,” Jablonski says. The next challenge is cutting through a crowded market. There are up to 600 new dramas launching into the market every year, with some colossal budgets on offer at the likes of HBO, Netflix, Amazon and Showtime. How does a project on History get noticed? Casting is key to this. 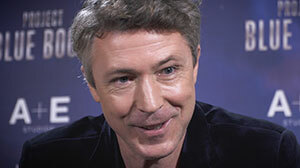 Aidan Gillen has been secured to play the central Dr Hynek character, fresh from a six-year stint as Petyr ‘Littlefinger’ Baelish on Game of Thrones. Michael Malarkey (The Vampire Diaries) is also on board. But then there’s also the happy, or perhaps unhappy, coincidence of how the news agenda seems to have come full circle. First of all, UFO sightings are back in the public consciousness following March’s breaking CNN story showing video of an object in the sky over San Diego, shot by cameras on board a US Navy jet. “The fake news angle to the series is 100% deliberate,” Jablonski says. “We talked about it early on. This was the original fake news story in many ways. The government made a diligent attempt at creating a misinformation campaign to tell people what they saw did not exist. We’re hearing that every day on news in this country.